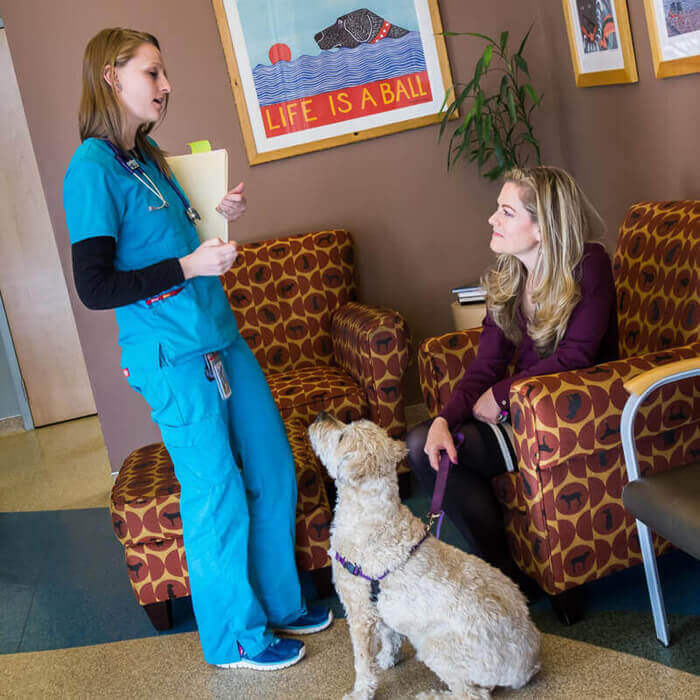 Whether your first visit is an emergency or a scheduled appointment, our doctor will review your pet’s medical history and current condition. A regular scheduled appointment typically gives you 90 minutes of time with our doctor and staff. We will discuss your pet’s overall health with you and discuss recommended diagnostic tests or treatments. When we perform a diagnostic test, such as an ultrasound, we do so from an internist’s point of view – from looking for the answers to understanding the patient’s condition and your concerns. You will have the time and opportunity to ask questions, and an estimate of possible charges will be presented before diagnostics and/or treatments begin.